I mostly agree on your choices, but I'd rate Iokath higher just because it's a lot more relevant at endgame - I think people don't do Nar Shaddaa or Balmorra dailies as much as Iokath by a large margin. Well, if we went by that logic then Balmorra and Nar Shaddaa would be no problem at all as the only repeatables on them are heroics and the quick travel items deposit you right in front of the mission entrance for those anyway, without you having to know where places are actually located. While the mountain areas and the teleporting is just tedious at times. I can't wait to get that planet done with and behind me. Hm, I don't find Belsavis too bad these days. It's quite a trip around the houses to get to certain areas, but it's not too confusing. It was really bad back in the day though when the teleporters weren't all on the same network and you basically had to memorise which one could take you where. 1. 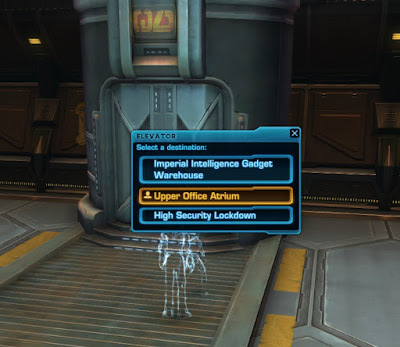 Imperial Intelligence Gadget Warehouse: Spits you out in the southern-most part of the first section of the Republic Bonus Area in the Upper Industrial Sector which also contains a Heroic for Imperials. Nearby to the elevator is a named Champion. 2. 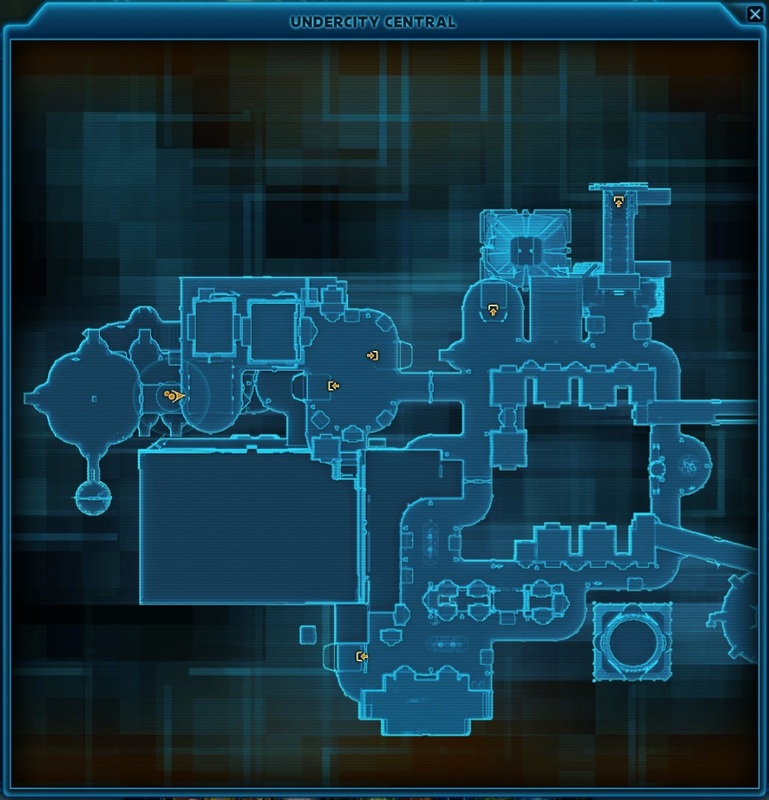 Upper Office Atrium: Spits you out just south of where Rusk spawns for his Alert and the mercenary camp which contains two one-time missions and a Heroic for Republic players. Used to be the only elevator which an Imperial could use to access the Warehouse prior to the implementation for the Heroic transports. 3. 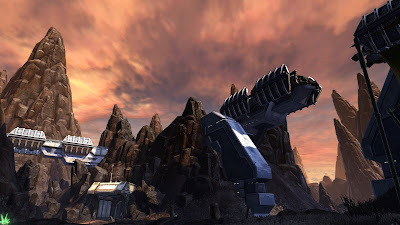 High Security Lockdown: Spits you out in the southern-most part of the Imperial prison area which is the final quest-hub for Republic players in all of Nar Shaddaa. When it comes to Nar Shaddaa, I still get caught out to this day by two particular Quick-Travel points; the ones relating to the final story area of Nar Shaddaa and the bonus area quest-hub near to R4-GL. I can never remember their names and I always go to the incorrect one whenever I intend to go to the other. The name of the Lockdown area is seared into my memory because I really detested it the first couple of times I was there and its acronym, HSL, reminds me of a bloody advert that would crop up every half-hour when my parents watched murder mysteries since the company sponsored several: "HSL: The Chair Specialists". I don't know which one I'd cite as my least-favourite planet to navigate overall. 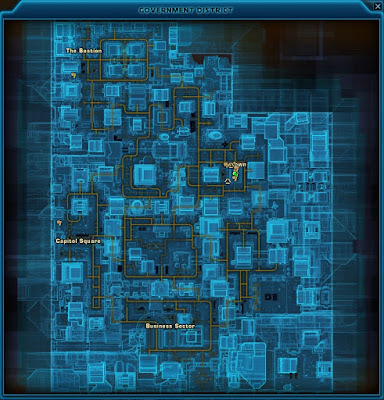 Nar Shaddaa certainly has the least useful map, since the only locations which can be accurately discerned from the overal picture without seeing the Quick-Travel or speeder points are the Promenade and the Casinos. Maybe the spaceports as well. I'd certainly say that a few planets have at least one area I get lost in a lot but I honestly can't say which one I overall find the most annoying to traverse through. I should state that I meant to say "Imperial" when relating to the Quick-Travel points. Well, considering this comment was written a day later, you can't really prove that it was "off the top of your head". ;P I also noticed that you didn't answer the Zakuul question. Also, I feel that those descriptions only support my point because even if technically correct they are very convoluted and pretty useless to anyone who doesn't already know what you're talking about. On a world of samey-looking tunnels there just aren't enough helpful landmarks. I get so lost on Zakuul and haven't got things figured out as much as I have on other worlds, hence why I didn't touch on it since I had nothing to speak against, if that makes sense. Once I figured out to look for the roads that went through the buildings Corellia wasn't so bad. Tedious, but it feels like an actual urban area with all the meandering roads. I am very glad to see Gorinth canyon mentioned in this post, man is that area's design super-annoying. Iokath is the worst for me. I have only ever done it in its entirety once. I also have never been back. Maybe I am missing out by not doing it but I just dont see me going back. Tbh Nar Shadaa Balmorra and Corellia I dont mind too much and Zakuul is somewhere else I didn't mind when I was running the relevant content. 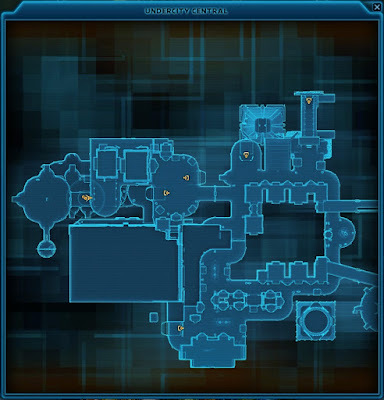 Now I think about if I am going to go run Iokath again and see what happens . I'm surprised Belsavis didn't make it on the list, given there's sections where there's only one opening to get from the top half (Republic side) to the bottom half (Imp side), and if you miss that opening when you're out and about you have to spend a lot of time doubling back. Additionally, the quest direction markers have a bad habit (unlike, say, Hoth) where they'll send Republic players to the zone passage for the Imp players. My first toon --way back before F2P-- learned this the hard way by being basically one shot by the Imp NPCs as I approached the checkpoint into the next zone. 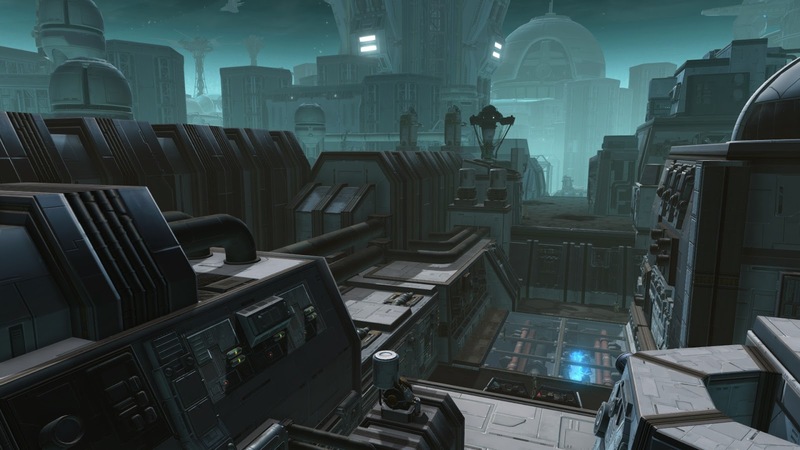 But Nar Shaddaa, that's the highlight of the Chapter One areas for me. I love that place. Seems several people would have put Belsavis on their personal list. But again, I really don't remember having that many issues with it after the initial discovery phase. You nailed it, though I cannot really say anything about Iokath. 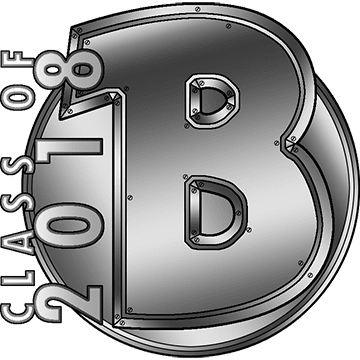 As most here I thought of Belsavis too. Put me up for Belsavis too. Just hate the layout of that planet. However I actually love Nar Shaddaa and Balmora. The first for the seedy underworld aspect, and not taking long to get from A to B. While the later has the whole frontline on the battlefield experience, especially when you get to the factory area.